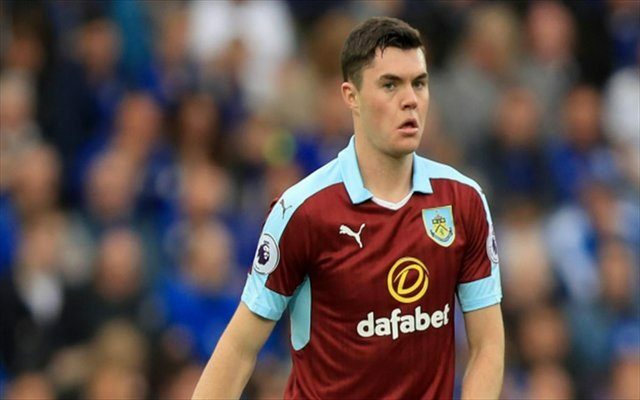 Burnley boss Sean Dyche has provided a defiant update on the future of Michael Keane as speculation continues to suggest Man Utd will make a move this summer. The 24-year-old has been an ever-present for the Clarets this season, making 39 appearances in all competitions as he played a pivotal role in keeping his side in the Premier League and avoiding relegation despite many tipping them to go down. However, that form has also led to interest from around the English top flight, and as noted by the Metro, it seems former club United are hopeful of tying up a £25m deal this summer to take him back to Old Trafford. Dyche is adamant that it won’t be that straight-forward though, even though Keane has just over 12 months remaining on his contract, as the Burnley boss has insisted that they will only sell him this summer if the deal on the table suits them. ‘The only thing we know is that we’re in a strong position. “He’s got a year to run on his contract. If nothing happens that’s suitable for us, the situation will go on and he will carry on playing. We will wait and see what the summer brings. Man Utd have the advantage in the sense that they will be owed 25 percent of any transfer fee, as per the agreement between the two clubs when Keane left for Burnley in 2015. In turn, they will sign him at a reduced price compared to their rivals. However, that won’t mean much this summer if Jose Mourinho can’t prise him away from Burnley’s grasp, as even if they secure Champions League football next season it seemingly won’t help them out in this situation.